There are people who come into our lives on a gentle breeze, blowing grace as they go and planting seeds of hope and encouragement. They are the hidden blessings of walking with God, a reward for today’s journey in the temporal and limited passing of time we spend here. And we need to record their words and their giving as we encounter them. We need to sit a while with their stories and to let their souls spill good things right into ours. It is the way we were meant to partake together, the literal sharing of the living bread and the pouring of his life blood over one another. A sacred communion of souls in Christ is a hallelujah moment that seals destiny through the power of unified prayer and bond of friendship. God-friends are the ones who come in and lift us up as we walk on the journey. They share their stories through failure and victory and we learn as we lean into their living, we grow as we wrestle with them in prayer, and we breathe grace as we journey together. It is one of the ways that God loves us, I think. Sending us kindred spirits who can join us right in the midst of our journey and love us through it all. 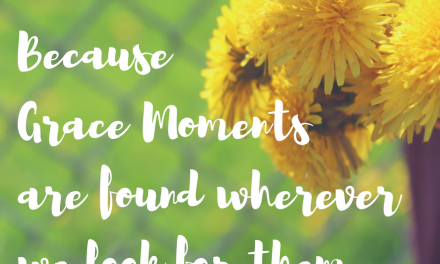 Today my sweet friend, Ifeoma, is sharing a few words with my dear #GraceMoments Community. I am so happy that she was willing to take time to build you up today and count grace with you. Ifeoma has been a huge source of encouragement to me in this journey of writing out words, that Ecclesiastes-kind-of-friend who has built hope into my heart with her notes of affirmation. Repeatedly she reminds me that if just one person is encouraged, this sifting letters and phrases to bring Him glory is more than worth it. A door shut against an opportunity. Another failure recorded. The sands of time don’t wait. They trickle away slowly but steadily. The laughter lines fade with each insurmountable mountain. Alone and lost in the island of dreams. Cold and frost. With each door that is shut, a resounding mirage. The lies that dampen even the best of us were it not for the hope that dwells deep within the soul. Are you neck deep, drowning and desperately wanting to just breathe? I have been there in the muddy thick of the mess called failure. Hope that this dream would be reality. Like beholding a budding flower, waiting patiently for each sunrise to throw its glimmers upon it. We wait with each passing day holding forth our hope. 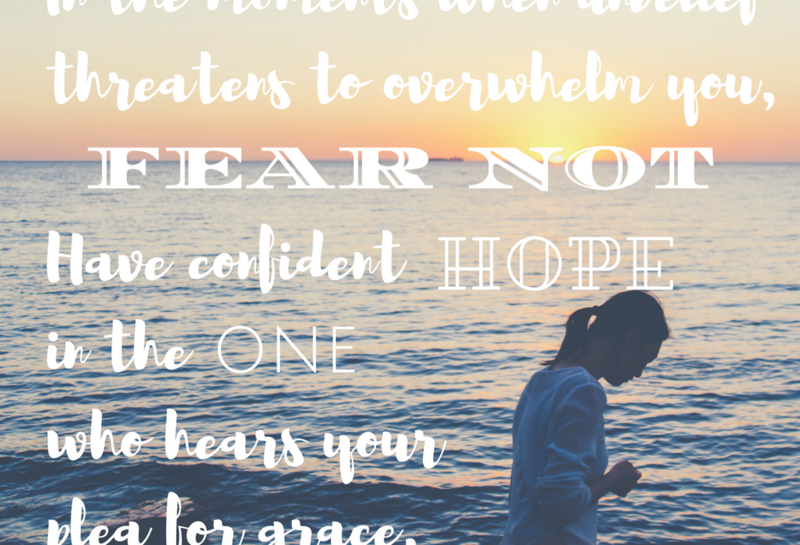 He whispers in our hearts… Be not Afraid. Afraid the dreams might away? Afraid you will have no one to come home to? The Lord says Fear Not! My trembling heart at that moment understood the power of the simple prayer ‘Lord, help my unbelief’. (Mark 9:24). May be you too can identify with his plight. That man was desperate for a miracle but his faith quaked. In a very real sense, unbelief threatens our faith. And Jesus sees that longing in our hearts for a turn around. Hope in an overwhelming situation. The strength to hold on. 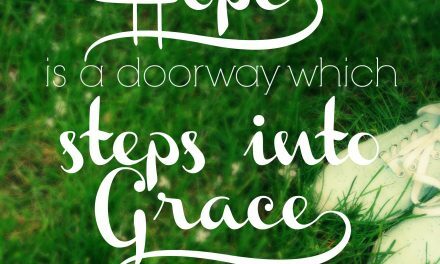 The grace to get up and press forward. I need it and you do too. 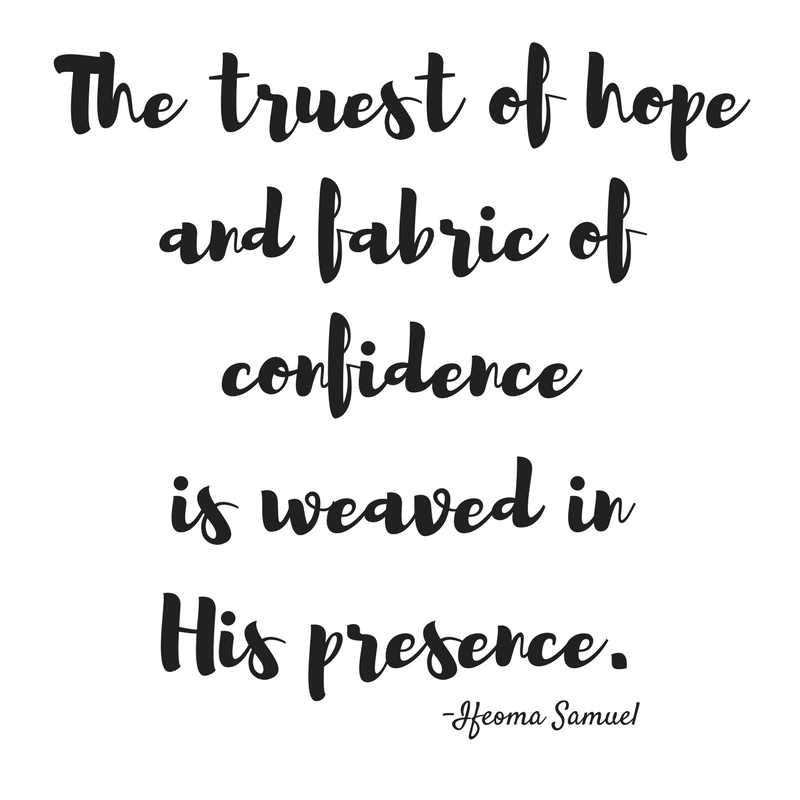 Recently, my heart has been pondering on the word ‘hope’. We are weak, feeble and forlorn without Hope. From mere mortals whose breathe they never can sustain? Is it in the perishable, fallible earthly possessions which can vanish in the twinkle of the eye? (Ask Job). For the very presence wealth, fame, power, you name it cannot barricade the faintest of the life’s storms. Life is life and that what it is. Temporal. Imperfect. Unpredictable. Confident as steel is a heart whose heart breathes every Word He has said. Tested over and over. The Word doesn’t lie. We seek life answers and comfort from the scriptures. Our Knees in bent Prayer. Not only provides us with surrender to the Sovereignty of our Heavenly Father, but brings us to the humble acceptance of how dependent we are on Him. We are nothing without our Lord Jesus. How often do we tell it to Jesus in prayer? Can you bow your head and say a word of prayer over that situation? Silence, Listen and study. What did the Word say? Have you listened for His voice? Be Still and Know He is the Lord (Psalm 46:10). Hush. Quiet in trusting Him for today and the days ahead. The pen and the drawing board: What has this road shown you? Pick up your bed and walk. You can find Ifeoma’s book, Overcoming Failure here. 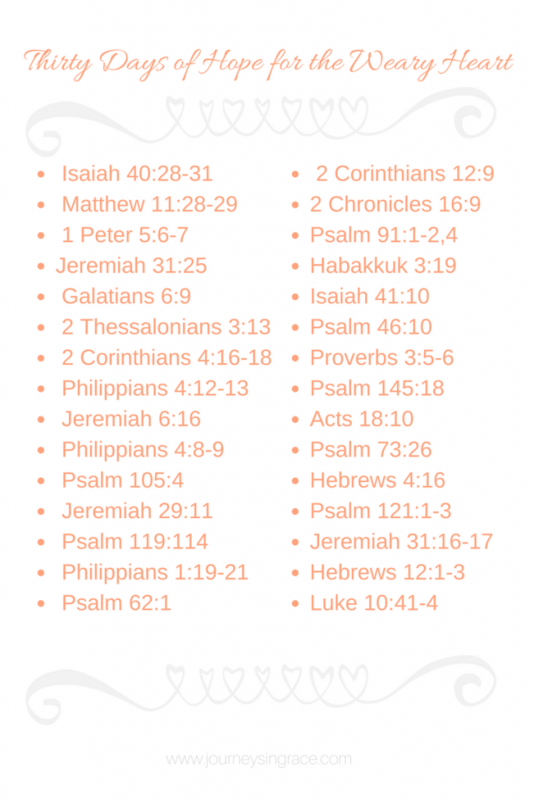 Are you feeling weary on the journey? Are you needing a dose of gentle encouragement each day to keep your heart focused on the truth? 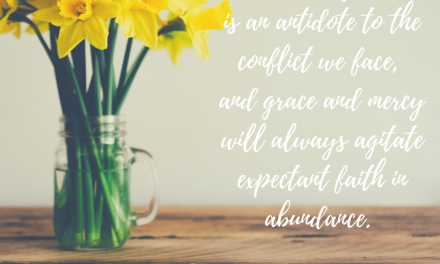 Join me over at the Table of Grace Community in the Month of May as we soak up His Word together for Thirty Days of Hope for the Weary Heart. I read the introduction of this article and I thought wow! Is that what Dawn thinks of our friendship. I am touched Dawn. No matter how far we are, God brings us and draws us near to sister-hearts. I am super blessed reading your words weekly. Thank you for the kind words and the privilege of sharing here on your blog. Dawn and Ifeoma, thanks for teaming up here to bring encouragement and hope to this community! Thank you, Dawn and Ifeoma, for this encouragement today. 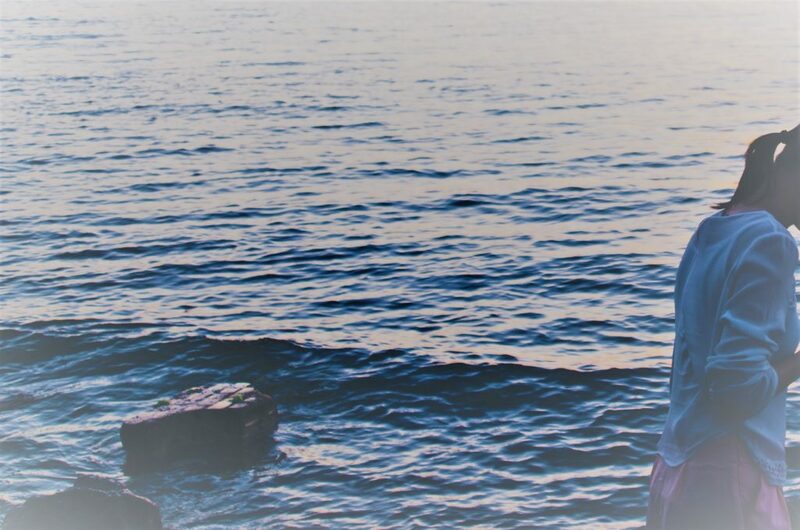 I needed to read this > “Confident as steel is a heart whose heart breathes every Word He has said.” No words, just gratitude for the words you shared! Thanks Dawn and Ifeoma. Our relationship with the Lord is that of an exchange back and forth. It’s wonderful. Blessings to you both. Ifeoma- thank you! Your words spoke to me today! Thank you for sharing these good words. “Hope in an overwhelming situation” Oh, yes, God is so good to meet us there! And I loved hearing your video too–your thoughts and the Word of God are so encouraging! Blessings to you both! We all need these reminders to continue to HOPE. Thanks, Ifeoma. 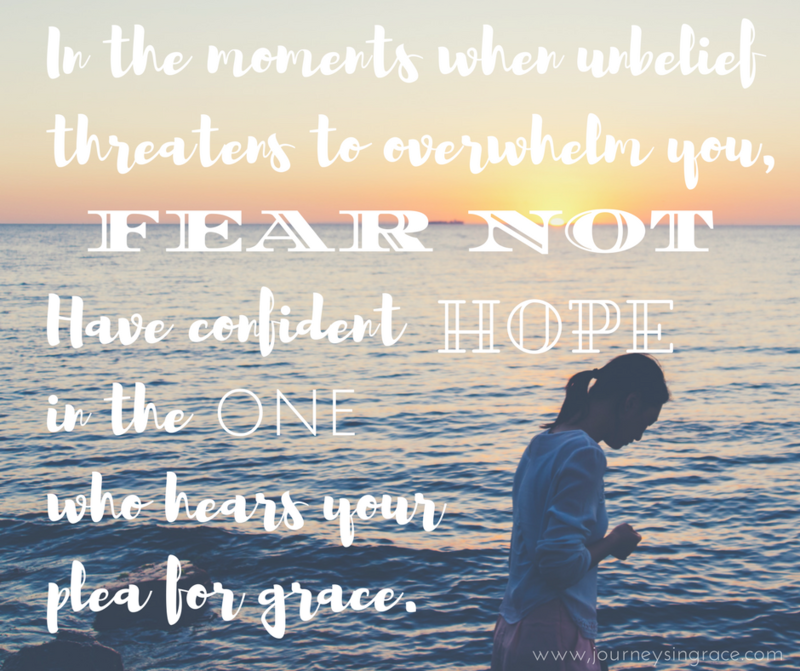 It’s too easy for me to hear the voices of fear, but I want to hear Jesus’ voice even louder to fear not. Thanks for hosting! Beautiful graphics quotes! It’s good to see you here, Ifeoma. You keep spreading good vibes and inspiration around the web. 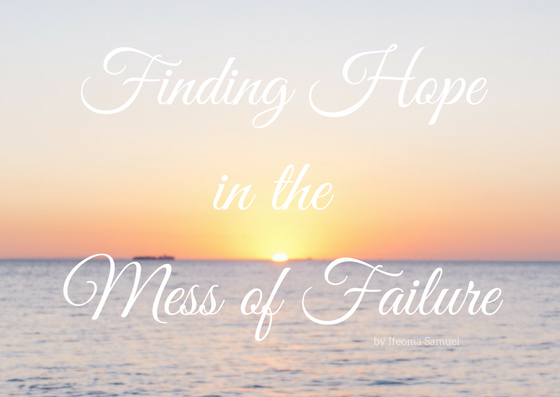 Finding hope in the mess is a tough thing to do. What you share is an inspiration to many who are struggling. I am facing a difficult marriage. I really wish to know if it was willed by God as I often feel miserable. I cannot come out of the situation as he does not do anything illegal but shows apathy and lack of interest in me. His expression of love is buying stuff for household. He belittles me and is extremely critical of me no matter how hard I try. His attitude has changed after the entry of female subordinate in his office. I feel cheated.